Can malls fight competition from online retailers? How malls are reinventing themselves to counter the threat of e-commerce and boosting retail real estate in the process. DLF Mall of India in Noida's Sector 18 boasts a profusion of branded, up-market stores across its two million square feet spread. 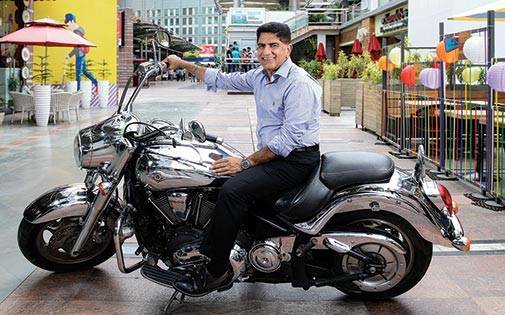 But Sriram Khattar, CEO of DLF's Rental Business, felt there was one vital outlet it lacked - a patisserie. Nor would any patisserie do - it had to be classy, exclusive, in keeping with the ambience of the mall. Khattar found just the kind he was looking for, not in neighbouring Delhi, but in faraway Colaba, South Mumbai - Theobroma, the boutique Parsi patisserie that had built a formidable reputation in a little over a decade. 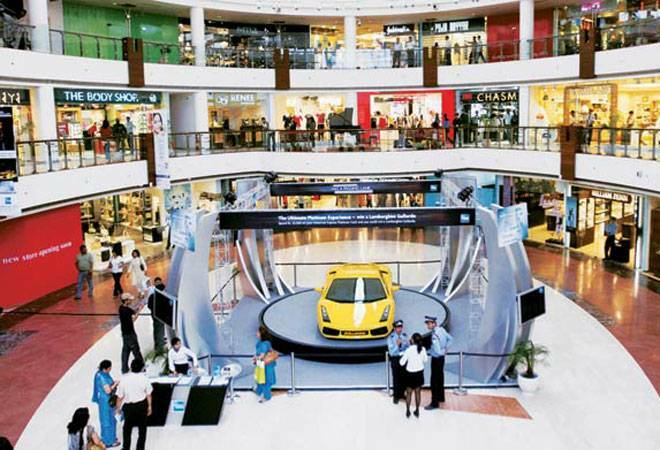 "It wasn't easy to convince the owners to open a branch at our mall in Noida," says Khattar. "It took me two years to get an affirmative answer." Theobroma proved so popular at Mall of India that it has since opened two more outlets in the National Capital Region - at DLF's Promenade Mall in Vasant Kunj and at Cyber City in Gurgaon. DLF is not the only mall promoter going the extra mile to bring in customers, at a time when e-tailing companies are providing every kind of product at customers' doorsteps. No longer can malls afford to be mere aggregations of fancy-looking shops as they were when they began at the turn of the last century, with Spencer's Plaza in Chennai leading the way. "The way people look at malls has changed," says Rajendra Kalkar, President (West) at Phoenix Mills, the country's biggest mall owner, with six million square feet of space across malls in Mumbai, Pune, Bangalore, Chennai, Agra and Lucknow. "They are no longer places to shop or dine but a social and cultural destination. It is important that new and innovative experiences are regularly introduced to retain visitor interest." If technology enabled the e-commerce explosion, it is playing a big role in the brick-and-mortar fight back as well. A number of mall stores, for instance, are using Bluetooth-assisted 'beacons' to catch the mobiles of people in the vicinity, who haven't yet stepped into their store and sending them text messages with offers and information about their products. More importantly, some mall stores are seeking to appropriate the USP of e-tailing companies by setting up 'omni channels' and 'virtual stores', which, too, take orders online and deliver at home. Sports equipment major Adidas, for instance, has set up omni channels at select stores in Delhi/NCR and Chandigarh where customers can look at catalogues of items made by Adidas but not immediately available in the store and order them right away for home delivery, using either their own smartphones or a tablet/PC the store provides. Its Neo brand of cycling-related equipment, in particular, is not kept at its stores - since it takes too much space - but has to be ordered through this omni channel. So too, virtual stores have sprung up on the walls of some malls - products can be ordered and paid for using a smartphone to catch the store's QR code, with home delivery to follow. "We are increasingly using virtual stores, virtual dressing rooms and local apps in our mall management," says Abhishek Bansal, who owns Pacific Development, which runs two malls in the NCR region and one in Dehradun. Technology is also being used to improve the mall shopper's physical experience, with 'park me' apps, for example, guiding vehicles to vacant spots in mall parking lots. "We're doing it all, bringing in artificial intelligence, augmented reality, robots and targeted re-marketing as new tools to engage with our customers," adds Kalkar. And to make sure people know, bloggers and reviewers have been employed to keep up a constant presence on the Internet and social media. Those in the mall business are still wary of e-tailing companies, but for the time being seem to have settled into a relationship of peaceful coexistence with them. There are always aspects of physical shopping which online cannot replicate and they are emphasising these. 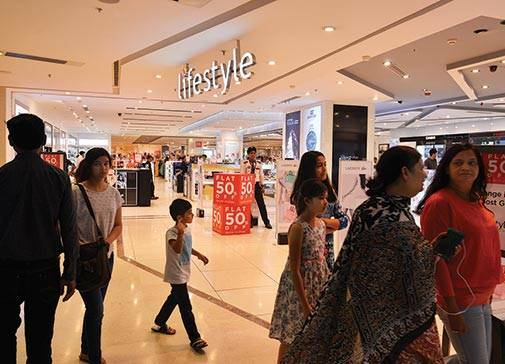 "Indian customers want the touch-and-feel experience offered by malls, the heightened action and experience of buzz," says Pushpa Bector, Executive Vice President and Head, Premium Malls Division, DLF. "Physical stores help to catalyse the decisions of casual or undecided shoppers," says Pankaj Renjhen, Managing Director - Retail Services, JLL India. Some even claim e-commerce has helped them by enhancing Indian customers' brand knowledge and aspirations. "We introduced at least two dozen international brands at the behest of our customers and they have turned out to be bestselling ones," says Bansal. He lists clothing brands Forever 21, Armani Exchange, Dur, SuperDry and Gap among them. 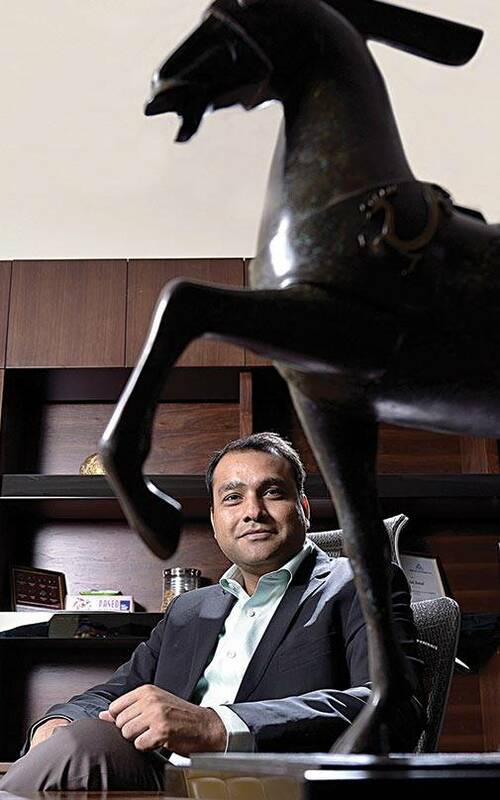 "Various entertainment options, including the food and beverages outlets and multiplexes, continue to draw visitors of all ages to our properties," says Kalkar of Phoenix Mills. Indeed, restaurants and cinemas have established themselves as key drivers of mall traffic. Industry observers maintain that restaurant space in malls is likely to soon double to about 25 per cent of the total available, while fashion outlets take up reduced space with malls becoming more selective. "Malls have realised that the food they provide is a major pull and that getting the right eatery brands which cater to specific taste buds will shape the quality of their visitors," says Vivek Kaul, Head, Advisory and Transaction Services - Retail, CBRE India, a consultancy firm. Thus DLF has got United Coffee House, with its unique ambience, formerly based only in Delhi's Connaught Place, to open a branch at Mall of India. So too, Malaysian restaurant brand Kenny Rogers Roasters has opened its only outlet in India so far in a mall - the Gardens Galleria Mall in Noida. Leading Indian food and beverages operators such as Cafe Delhi Delights, Imperfecto, Farzi Cafe, Tea Trails, Barbeque Nation, Mamagoto and more have all gravitated to malls in major cities. The Grand Venice Mall at Greater Noida has allotted 50,000 square feet to its food court Terrazzo, where around 1,300 customers can be accommodated savouring the charms of iconic old Delhi brands - Karim's, Moti Mahal, Bikkgane Biryani and Thaliwada. Some malls, especially in West and South India, have gone one step further by including hotels within their complexes. VR Mall in Bangalore, for instance, has both a hotel and a co-working area alongside its stores, restaurants and multiplexes. Other malls even provide concierge services to select clients. Residential real estate may still be in the doldrums, but fuelled to a large extent by new malls, retail real estate is booming. Around 1.9 million square feet of new retail space was added in seven major cities - Mumbai, Pune, Delhi/NCR, Chennai, Bangalore, Hyderabad and Kolkata - in the second half of 2016 alone. Most of it, predictably enough, was in Mumbai, Delhi/NCR and Bangalore. A steady stream of international brands continued to make their debuts in India through 2016 - Swiss earthmoving equipment manufacturer Liebherr Group, Spanish confectionery brand Papabubble, the US's Justice brand of clothing for young girls, Italian luxury clothing and accessories' brands Armani Exchange and Kiko Milano, and more. Other classy brands expanded their Indian operations - Swedish clothing retailer Hennes & Mauritz (H&M), Korean skincare brand Innisfree, Spain's Massimo Dutti and Zara, the United Arab Emirates' Max, all selling clothing and accessories, and French sports brand Decathlon all set up new stores across the country, concentrating on Delhi/NCR. "NCR remained on the radar of domestic and international retailers in the second half of 2016, with fashion retailers and international F&B operators being the key drivers in new properties," says Kaul of CBRE. "Compared to a few years back, retail real estate developers now have a wider range of options across categories to choose from," says Mahim Singh, Head of The Great India Place Mall, Noida. "Retail brands are competing hard to ensure they are part of the brand mix at the leading retail destinations." Even global developers are sensing an opportunity. The Warren Buffett-owned Blackstone, world's biggest investor in real estate properties and the biggest owner of commercial properties in India too, is likely to soon acquire two Larsen & Toubro-owned malls in Hyderabad. It has already invested in the AlphaOne malls in Amritsar and Ahmedabad, the L&T Seawoods Mall in Mumbai and Westend Mall in Pune. While its fortunes in the US waver, leading to the shutdown of 76 million square feet of space in 2016, in India, following the Hyderabad acquisitions, it will become the second-biggest mall owner after Phoenix Mills. Another noticeable trend is that of singly owned malls being acquired by strategic or institutional owners. VR Mall, for instance, located in Bangalore and Surat, with a third one coming up in Chennai, gets its name from Virtuous Retail, the retail development arm of the NRI-owned private equity firm Xander Group. All the malls, including the North Country mall in Mohali, are acquisitions over the last two years by Virtuous Retail in a $450-million joint venture with APG Asset Management, a consortium of Dutch investment companies to give them a retail portfolio of 5.5 million square feet. "We are very bullish about the retail market in the long run," says Rohit George, Managing Director, Virtuous Retail South Asia. "We are committed to building our presence here and becoming the natural partner of all top brands looking to play the Indian market." Similarly, Canada Pension Plan Investment Board (CPPIB) has bought a stake in Phoenix Marketcity, Bangalore, while Singapore's sovereign fund GIC has bought into R City Mall in Mumbai (built by the Runwal Group) and Viviana Mall in Thane (built by Sheth Developers). With its vast pool of young people and resilient growth rate, India is all set to prosper in coming years and malls are expected to prosper alongside. Around 33 per cent of India's population now lives within the mall catchment area, but with growing urbanisation, the figure is bound to rise further. It is also estimated that average disposable incomes will double as early as 2020, with the affluent population - those earning over $34,000 per year - increasing six times; those in the lower bracket, earning between $16,000 and $34,000 per year, increasing 12 times. All this is music to the ears of the mall industry. A host of new malls are expected to become operational this year itself - the Pioneer Park Phase II at Gurgaon, the L&T Seawoods Mall at Navi Mumbai, the RMZ Galleria and SJR Spectrum Malls at Bangalore, the L&T Punjagutta and L&T Madhapur Malls in Hyderabad, and The Palladium in Chennai. Many believe urban centres in the South are likely to see more new malls than in the rest of the country, with Bangalore and Chennai leading the way, until the South's share of retail stock rises to 30 per cent of the total against the current 23 per cent. Bangalore is expected to overtake Mumbai and emerge as the second-biggest retail market (after Delhi/NCR) by 2020. "The Indian market is still underpenetrated in terms of shopping centres per capita," says George of Virtuous Retail. "At present, it is less than one square foot, while in China it is five times higher. The big opportunity will come when 90 per cent of the India consumption story transitions into the organised sector from the unorganised sector."